� participants brought high school memorabilia, including sports jackets, annuals, photos and much more�.A digital picture frame PP displayed pictures of various schools, teachers, bus drivers, lunch room workers, principals, ball teams etc spanning at least seven decades. 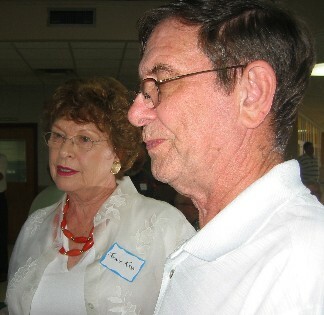 A good crowd attended the first annual ‘Meet & Greet’ Reception held by the Oconee County High Schools Alumni Association on the afternoon of the annual banquet on June 20. 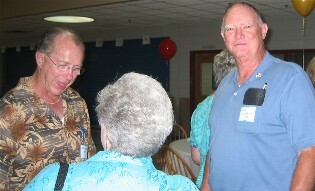 The event was held to allow for an informal setting for guests to visit with each other and with the Association Officers. 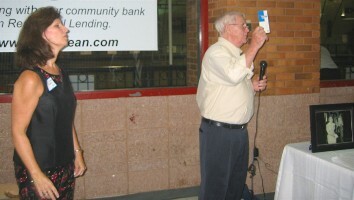 Food was plentiful along with a number of attractive door prizes. 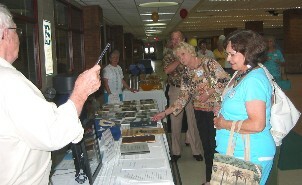 A number of participants brought high school memorabilia, including sports jackets, annuals, photos and much more. 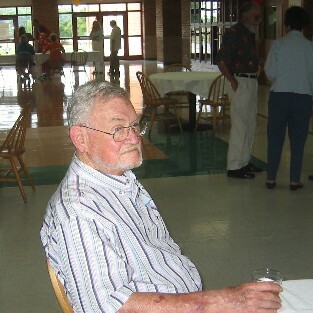 A digital picture frame PP displayed pictures of various schools, teachers, bus drivers, lunch room workers, principals, ball teams etc spanning at least eight decades of Oconee County School History. 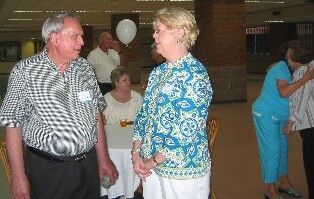 The event was planned and coordinated by the Alumni Fellowship Committee chaired by Patti Glass Moody, OCHS Class of 1982. 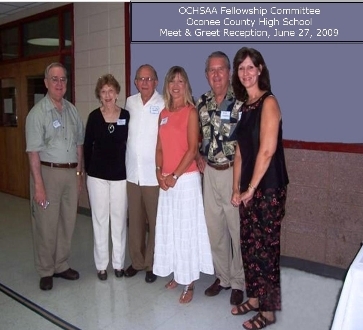 Other members were Bob Marable, Watkinsville OCHS 1951; Teresa Harris Guthrie, OCHS 1980; R. L. (Doc) Crawford, OCHS 1962; Kathryn Whitehead Veale, Watkinsville OCHS 1949; and Wendell Dawson, OCHS 1958. Graduates of Bogart High School, Watkinsville High School, OCHS on Mars Hill Road and one recent graduate of North Oconee High School mixed and mingled.Memorabilia and conversation were popular activities. 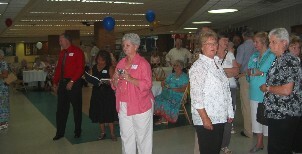 The Association considered the event a success and plans to have the reception again next year- and make it even better.